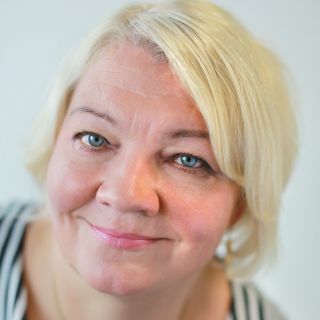 Tarja Zitting-Huttula is Director of Communications in Kemijoki Ltd.
Social license to operate means that the company’s operations have wide societal support and its stakeholder groups approve of its operations. It’s not possible to apply for this license – you have to earn it. Electricity forms the basis of our current way of life every moment. Electricity production’s social license to operate thus has good prerequisites. However, all methods to produce electricity leave a footprint. The question then is what kind of a footprint is acceptable. Kemijoki Oy’s task is to produce electricity through hydropower. Hydropower is regulated power. This stands for electricity production which is used to quickly respond to fluctuations in demand for electricity. Hydropower is produced domestically and it is also free of emissions. On the other hand, dams and water flow rate affect people, nature and the landscape. We renewed our operating model a few years ago. The starting point of Kemijoki Oy’s strategy and business is using hydropower in an ecologically, socially and financially sustainable way. We produce hydropower together with our partner companies which means that we buy a significant portion of operations as services. We also rewrote the rules we play by. Those are sustainability, open collaboration and dialogue, renewal as well as insightfulness and joy. We are open, also about difficult and unpleasant things. We look for new solutions with our stakeholder groups. We develop our operations on the long term. It has become apparent that a networked operating method based on sustainability is a social innovation in its own way. Currently, there really aren’t other similar examples. We earn our social license to operate together with our partners in a large field of stakeholder groups. We carefully monitor the feedback our stakeholder groups give us as well as the satisfaction of our partners. Both are at a high level. At the same time, challenging matters, such as migratory fish issues, are being handled. We can have discussions, look for solutions and disagree sometimes – while always respecting and valuing each other. Those in our stakeholder groups with a personal relationship with the river and who interact with us give us encouraging feedback. The more distant the relationship with the river and the fewer the connections that the person has, the more critical their views may be. Exchanging views and collaboration are key elements in terms of social license to operate. Many of our partners have told us that they have started to look at the practical side of sustainability and cooperation with the stakeholder groups in a new way as part of this network. Together, we are in so many ways part of life at the riverside. Operating as a partner network, social license to operate is earned based on the evaluation of stakeholder groups and partners. That requires continuous dialogue, developing understanding and the ability to renew ourselves.